Many business schools around the globe now offer the opportunity to obtain a Global MBA. As our world continues to get smaller thanks to travel and technology, it’s becoming increasingly global. Companies are now competing on an international scale in a fast-paced, dynamic market filled with diversity. Global MBAs are becoming popular because companies look for job candidates who understand business across borders. A Global MBA is a master’s degree in business administration that focuses on studying advanced management principles from a global approach. Global MBAs can be found in the United States as well as abroad in Asia, Europe, Africa, Australia, South America, and the Middle East. If you’re looking to garner more in-depth knowledge on business practices and market dynamics overseas, the following is a brief introduction to the Global MBA, according to US News and World Report. What makes the Global MBA special compared to a traditional MBA? First, Global MBAs are naturally more diverse in their student and faculty populations. Global MBA programs bring together students from several international counties into one classroom to spark lively discussions. Global MBA degrees can take anywhere from one to three years to obtain, but nearly all will require a study abroad component. Many business schools let Global MBA students participate in exchange programs to spend a semester studying on foreign soil and engaging in the local culture. Global MBA programs will delve deeper into topics like international business, multinational management, global finance, and world economics. Most will also partner with recruiters from more geographically diverse companies. Earning a Global MBA will equip you with the foundational knowledge needed to step into some of the world’s hottest business careers. Depending on your specialty niche, you could focus on the global side of finance, marketing, human resources, information technology, accounting, operations management, and more. You’ll likely find favorable prospects in obtaining mid to upper-level positions in international corporations and domestic companies with an active presence overseas. Global MBA graduates often excel as management consultants, import/export trade managers, international business developers, global finance controllers, foreign policy advisors, and more. Some even head to the boardroom as CEOs to make good use of their cross-cultural business expertise. 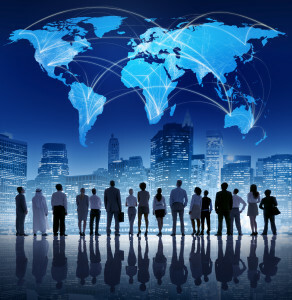 Every school that advertises a Global MBA isn’t necessarily global-oriented. With all of today’s hype of international business, some schools are overly promoting their global offerings to attract more MBA students. You’ll need to carefully review the curriculum and inquire about abroad learning opportunities to determine a Global MBA’s true merit. Make certain that any programs you’re considering have been formally accredited for excellence. Having AACSB International accreditation will win brownie points. Checking the rankings for the best Global MBA programs can also lead you in the right direction. Ultimately, it boils down to finding a business school where student diversity and cross-cultural learning is emphasized. Overall, Global MBA programs can be ideal for either recent graduates or working professionals who seek to add more international experience to their resume. Networking with students from other ethnicities gives Global MBA students a better cross-cultural understanding for working in our increasingly diverse world. Students also benefit from interacting with global business leaders, studying abroad, and being exposed to international issues affecting business. If you select to pursue a Global MBA, you’ll have a rich opportunity to blend your dose of management theories with international flavor to match our global market.